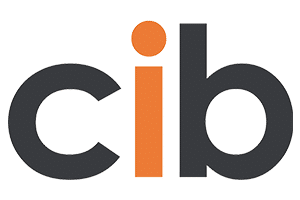 Channel Insurance Brokers (CIB) are delighted to confirm the launch of their exclusive Private Motor Policy. By working closely with Insurers, CIB negotiated a new product which was successfully implemented in January 2018. CIB understands that insurance can be impersonal and strive to put their clients’ needs at the heart of their business. This is why the Personal Insurance Team listened to feedback from their clients and took the initiative in customising and implementing the launch of the New Private Motor Product. Tony De Sousa, Managing Director at CIB (which is part of PIB Group), and his team worked hard to ensure that customer feedback was heard and responded to. Working in the Personal Insurance team at CIB for over 29 years and being involved in the development and successful launch of this new product on behalf of our clients, shows that our clients really are at the heart of our business. We have already had a positive reaction from our clients with many of them taking out this policy. If you would like more information or a no obligation quote for this product, please contact us on info@www.cib-insurance.co.gg or call a member of our Personal Insurance team today on 01481 726971. You can also click on the link to meet the team https://www.cib-insurance.co.gg/our-sectors/personal/ .